Crafted from 925 rhodium plated silver, this delightful pendant is the stylish accessory you need to vamp up your everyday look. 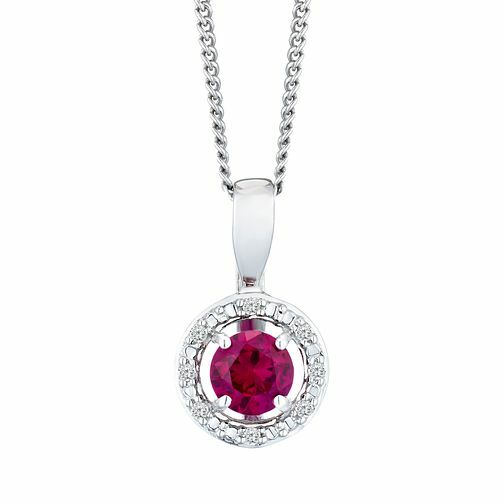 The created ruby gemstone is beautifully complemented by a set of circular cut diamonds weighing 0.02 carats combined. Set on a 18" chain.